In the literature there are many studies on soccer injuries, but data regarding the epidemiology of anterior cruciate ligament (ACL) ruptures of professional players are scarce. The aim of this retrospective study was to investigate the prevalence and the incidence of ACL surgical reconstructions of top-level professional soccer players. A questionnaire was administered by the sports physicians of the 18 teams competing in the 2002–2003 Italian Serie A Championship to players who reported in their career one or more ACL reconstructions. The prevalence of ACL reconstructions was 10.4%; the incidence was 1.08 every 1000 competitive playing exposures or 0.72 every 1000 h of game. Players who reported an ACL reconstruction when younger (20.3±2.1 years) had a higher risk of ACL injury to the other side. 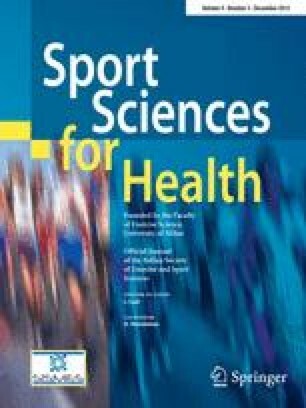 Contact injuries were more frequent during official games, while during training or nonofficial games non-contact injuries were more frequent. These data should be considered by team physicians and coaches to prevent ACL injuries and re-injuries in professional soccer.